Know where to find the most important Power Moons in Bowser's Kingdom by reading this Walkthrough Guide for Super Mario Odyssey. This page contains a strategy guide on Bowser’s Kingdom found in Super Mario Odyssey. The guide contains walkthroughs for each location in the kingdom, as well as the location for each Power Moon in the area. Bowser’s Kingdom’s aesthetics looks very different from the ones that we often see in the past Super Mario games. 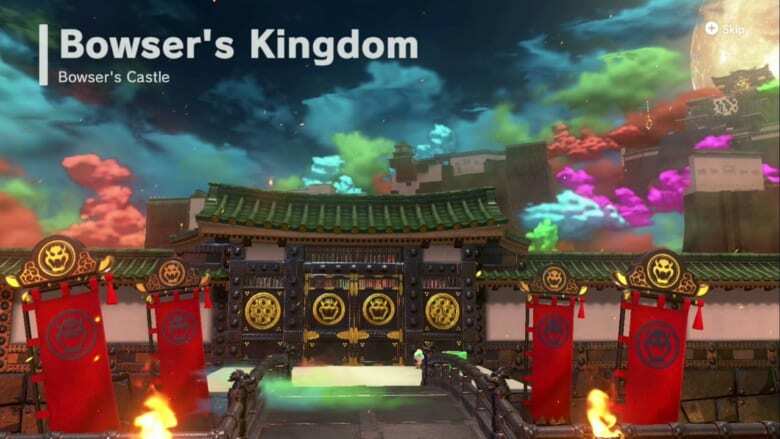 In Super Mario Odyssey, Bowser’s Kingdom has several Japanese-inspired temples and structures which are surrounded by colorful clouds. The greater location for this kingdom is Bowser’s castle. Head to the doors and move down the steps. Continue further until you see several Goombas. Make a Goomba stack of at least 10 and go to the right (at the bottom of the map). You will find a plate that you can stand on to receive a Power Moon. Take the Spark Pylon to go to the next area. Move to the right until you see a several white wall where you can stab your beak to go up. Check the rooftop and drop down the other side of the wall to get a Power Moon. After getting the Power Moon, go up again use the Pokio. Take the Spark Pylon and go to the third courtyard. There are two Spinies in the area near the big musical note to the left. You can get the musical note to start a challenge to get another Power Moon. Cross the platform starting from the right to face the Stairface Ogre. To defeat the ogre, you must wait for him to slam his hammer down. Be sure to avoid his hammer, then ground pound the exposed giant target on his head. Do this several times until it is defeated to get a Power Moon. Go to the opened doors that leads to another courtyard. The goal in this area is to find five Moon Shards. The first Moon Shard is located under the first bomb dispenser. Wait until one bomb rolls out and go inside the dispenser to get the shard. The second shard is located to the right of the bomb dispenser. Capture a Pokio to eliminate the Spinies guarding the area. Grab the shard near the torch. The third shard is obtained to the left of the bomb dispenser. Capture a Pokio and reach upwards across the white wall until you get the shard. The fourth shard is found if you climb up a path from the bomb dispenser. Head right and you will see a hidden path where the shard is. The last shard is found near all the other bomb dispensers in the location. There is a glowing box somewhere around the area, specifically between two bomb dispensers. Knock a bomb near the box to get the Moon Shard. In addition, there are more boxes to the left side. Knock a bomb into them to reveal a hole wherein you can stick a Pokio’s beak to reveal a Power Moon. Get the Power Moon after you get all the shards near the door ahead. At the foot of Bowser’s Castle, head to one of the large circular arenas near the statues to start two of the last Broodal battles. Head to the other circular arena to face the other boss. Click here to go to our detailed guide on how to beat Harriet (Second Battle). Click here to go to our detailed guide on how to beat Topper (Second Battle). After defeating the two Broodals, head to the opened drawbridge. 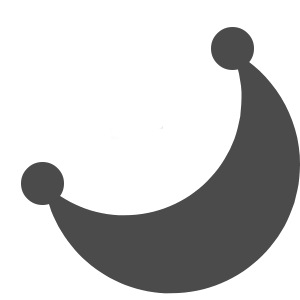 Cross the courtyard then dive down to the left of the koi pond to find a Power Moon at the bottom. Return to the courtyard, then capture a Pokio and move to the platforms near the koi pond to the right. Go to the white wall and use the Pokio to go up. Knock away the bombs that blocks your path upwards. Once you’re at the top, let go of the Pokio and defeat the Stairface Ogre. Lure him to drop the hammer at some of the boxes in the area to get a Power Moon. Continue further towards the inner wall. At the inner wall, there is another challenge that you need to beat in order to get to the top. Climb upwards as quickly as possible using the moving platforms. After reaching the top, head to the Spark Pylon and head to the roof to face the last boss at Bowser’s Castle. Click here to go to our detailed guide on how to beat RoboBrood.